3A custom voice message accompanies this gorgeous gift box, along with freshly roasted coffee and a mug. This gift box comes with an ultra-personal hand written card sealed with hot wax and a bronze Pheo seal. 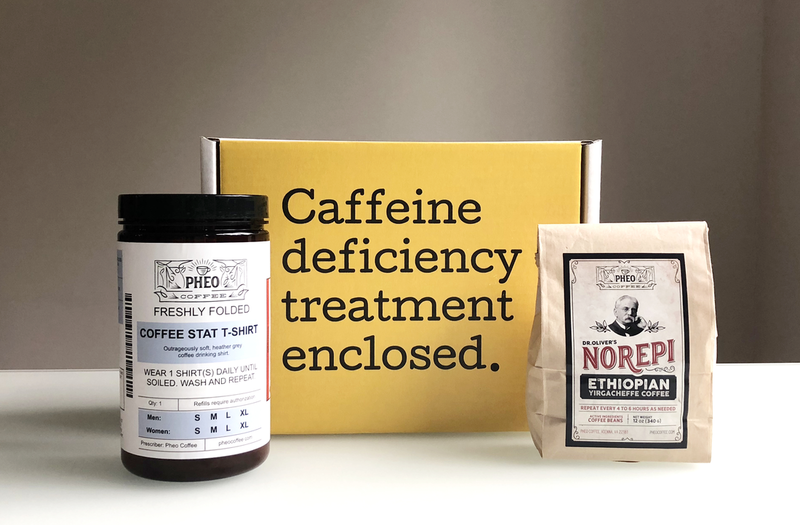 With best sellers and medical classics, caffeine deficiency mug and fresh coffee, this box is for the health professional that loves to read. Everything you need to brew the perfect, pour-over cup of coffee. Includes filters, coffee, coffee dripper and mug. With a T-shirt in a jumbo prescription vial and a coffee of your choice, this box is perfect for the coffee obsessed.